With the winter weather fast approaching it is not uncommon for Boston area residents to run in to pest that have come into their home uninvited. Pests need shelter from the cold temperatures too and will do everything they can to find their way indoors. Pests that are seen indoors most often during the winter in New England include rats, mice, spiders and cockroaches. These winter pests can be a hassle to deal with on a day-to-day basis but what many people don’t realize is that they pose major health risks as well. These risks should be avoided at all costs by calling a professional Boston winter rodent removal service to remove pests if they become a problem on your property. 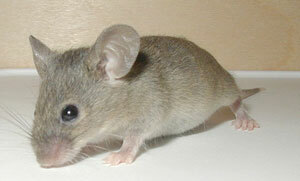 Rats and mice in particular are known to spread a number of different diseases. They can spread in a few different ways including direct handling of dead or alive rodents, contact with rodent feces or urine or by being bit by an infected rodent. Both rats and mice can contaminate any food that they get into and trigger allergies by being in your home. There is also the possibility of them bringing other pests, such as mites, fleas or ticks into your home that are infected as well. If you suspect you have a Boston rodent problem the best step is to call a professional Boston pest removal company. NW Pest Control is a leading provider of winter rodent removal services in the Greater Boston area and has been exterminating rodents from all types of property for years. We know what to look for when we start a Boston winter rodent removal job and use this knowledge to get the job done quick. NW Pest Control offers free in-home pest inspections if you aren’t sure exactly the type of pest you are dealing with. Call NW Pest Control today to get winter pests exterminated quickly and help you and your family stay healthy all season long. Rodents can squeeze through very small spaces to get into your home so the first step in making sure your Boston home is rodent-free will be to inspect the exterior for any holes or openings. Anything that is found should be immediately sealed up so that no unwanted pests will be able to access the inside of your home. It is also important to make sure you don’t leave any food out in the open that can serve as an invite to rodents who are constantly on the search for food. Making sure you close all doors to the outside is important in keeping your home rodent-free as well.